This great couple were married on the 30th December 2017, with the reception held at the beautiful Indianas on Marine Parade in Cottesloe, with an expected 140 guests to help them celebrate their very special day, with their wedding cake to be served as dessert portions. 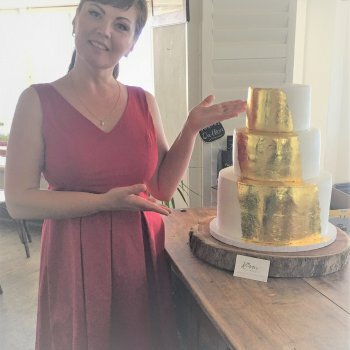 As with most weddings not everyone will be eating cake, with this in mind it was decided that the bottom tier would be fake and covered in white fondant. Middle Tier: Red Velvet and covered in white fondant. Top Tier: Vanilla Sponge again covered in white fondant. 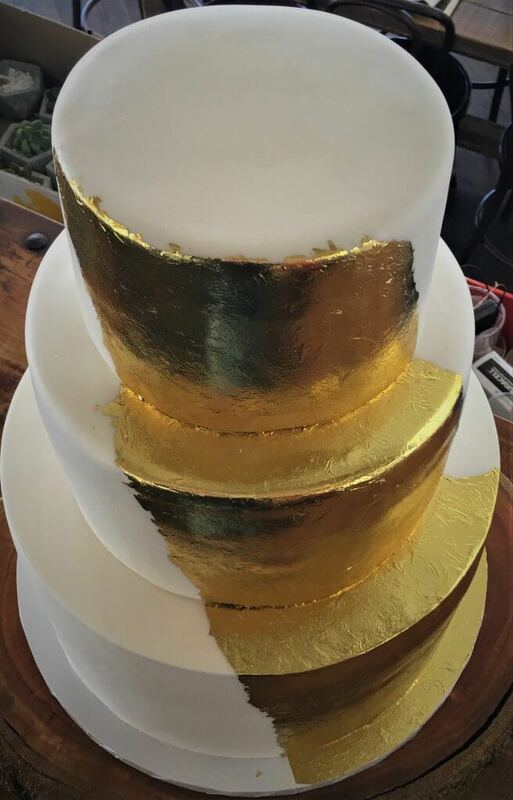 Cake was assembled and then Gold Leaf was applied in a Non-Uniformed manner, cascading down only a small section of the cake. Cake was transported to reception as is and displayed on one of our solid timber cake boards. 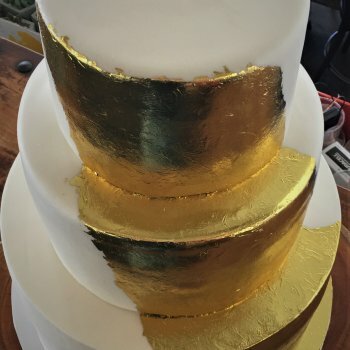 This was a stunning cake with the effect of the gold leaf really making this wedding cake a real show piece. Thank you Nathan & Abby for entrusting Rimma’s Wedding Cakes to be involved in a small way of your special day.